Is it a port of the Super Famicom title, or perhaps an upcoming Virtual Console title? The confusion felt by the world's collective consciousness expanded a little bit today thanks in part to the official Twitter account of the Mana game series. 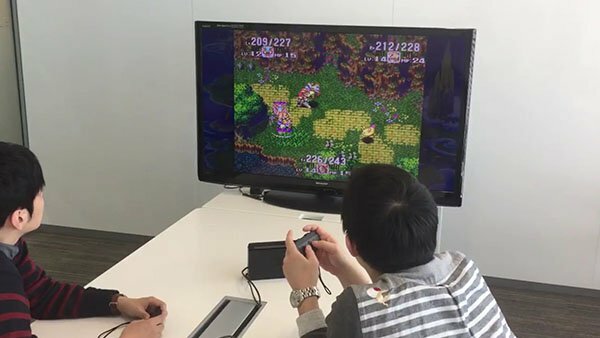 The team behind that account recently posted a ten-second video showing what appears to be Seiken Densetsu 3 being played on a Nintendo Switch, and no one knows quite what to make of it. One thing is for sure: it's definitely up and running on the Switch. As to whether or not its a port of sorts or a potential future Virtual Console title is anyone's guess. Some seem to believe that the video is a teaser reveal for an upcoming release, but Square Enix has not officially announced a Nintendo Switch version of the game. Others seem to think it's a sideways teaser for the upcoming availability of Super NES/Super Famicom titles on the Switch, and while that's entirely feasible, this would be an odd way to get that message across. In either case, the video came by way of the Japanese Mana Twitter account, and aside from a now years-old fan translation, Seiken Densetsu 3 has yet to make a formal English-language release. Even if the game may release for the Switch sometime soon, don't be surprised if it doesn't get a proper English translation.